If you've been reading GENDERFUL for any length of time, you've likely seen some of Forest's thoughtful (and thought-provoking) videos that I've previously shared. 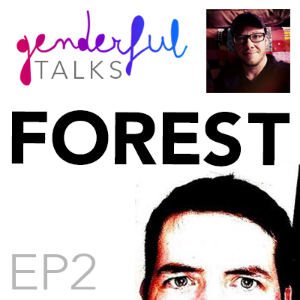 Forest's open, curious nature allows him to explore the complex ideas around what it means and how it is to be transgender, and he shares his insight in a way that's both approachable and informative for a diverse audience. I was really excited to have an opportunity to talk one-and-one and hear more of Forest's unique perspective on some of the ideas I've been exploring over the last several years! 27:48 – A new, different, and interesting Forest!